"Once upon a time, the gods decided . 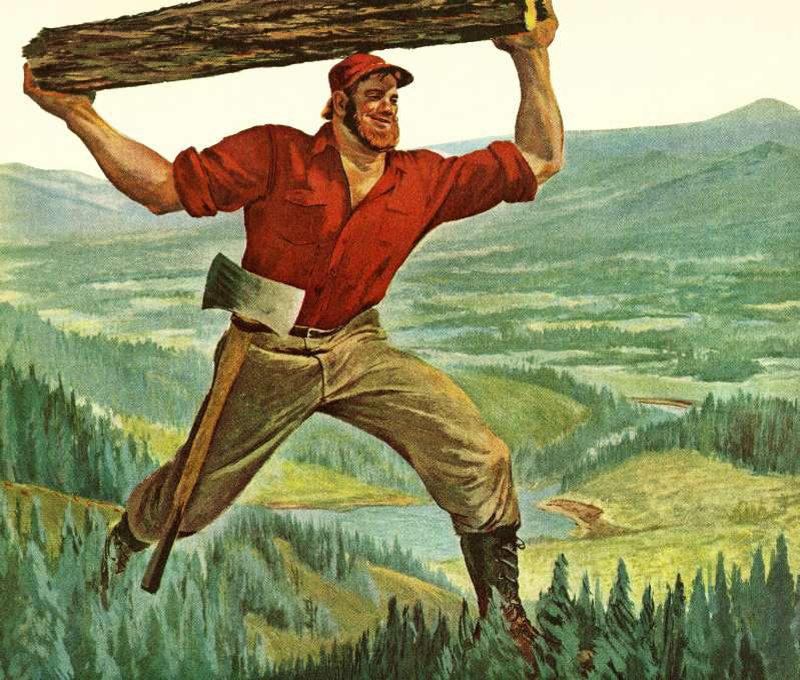 . ."
"One day, Paul Bunyan picked up his ax . . ."
"Have you ever heard the story about the fisherman and the three magical fish . . . ?" What exactly is a myth? And what’s a legend or a folktale? Are they just different names for the same thing? The word myth comes from the Greek mythos, which means “story.” Unlike a legend or a folktale, the word myth is reserved for stories about gods and their interactions with humans. Greek or Roman, Hawaiian or Hindu, a story about a god, hero, or supernatural being is known as a myth. Myths explain the reason things are the way they are: how humans began; where the Moon, Sun, and stars came from; why leopards have spots and elephants have trunks. Legends are about humans rather than gods. Although legends are often based on facts and believed to be true, they can have supernatural elements. Folktales are traditional stories told by “common folk.” Usually, folktales focus on everyday life. Myths, legends, and folktales have some clear differences. They’re also similar. The lines between these types of stories sometimes blur like flavors in a fruit salad. Even experts have a hard time agreeing on exact definitions of these terms. One thing they have in common, however, is oral tradition. This means they are usually passed from one person to another by talking. In general, storytellers around the world do not invent their stories. Instead, they hear and repeat them, adding their own personal touch as they go. This goes on from generation to generation. Sometimes, an ethnologist hears and records stories. Ethnologists study and compare cultures. For example, ethnologist William Drake Westervelt is known for his study of ancient Hawaiian traditions, including storytelling. In his search for myths about Pele, goddess of fire, he collected both oral and written stories. Myths, legends, and folktales also appear in paintings, sculpture, music, dance, and drama. The Ramayana, an epic story from Hindu mythology, relates the adventures of Rama, a prince who takes on the power of Vishnu, god of the universe. On the island of Bali, the Ramayana is enacted with shadow puppets, with music played on gongs, chimes, and drums. In the African country of Mali, the Dogon people tell stories about the universe. They make paintings on the ceilings of caves that tell these stories, and they carve wood to depict the gods. Through the ages, myths, legends, and folktales remain alive in the memory of the people.